Ante Up NorCal Classic Day 1A accumulated 122 entries. A great turnout considering the heavy rain and snow throughout the area. Entries are still available for Day 1B. Don't miss your chance to win a share of our gauranteed $200,000 prize pool. 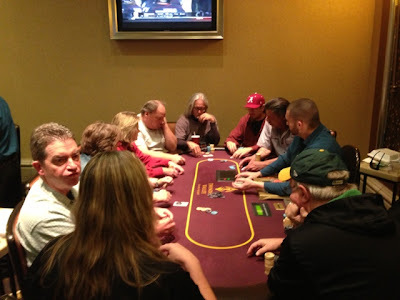 One table satellites are currently running and will be offered throughout the evening. Level 3 is just underway. The field currently stands at 112, with just under 2 hours remaining for the re-entry period. We will be holding 2:30pm and 7:00pm mega satellites for Day 1B. The 2:30pm satellite will be an $85 buy-in with 1 seat generated for every 15 players. 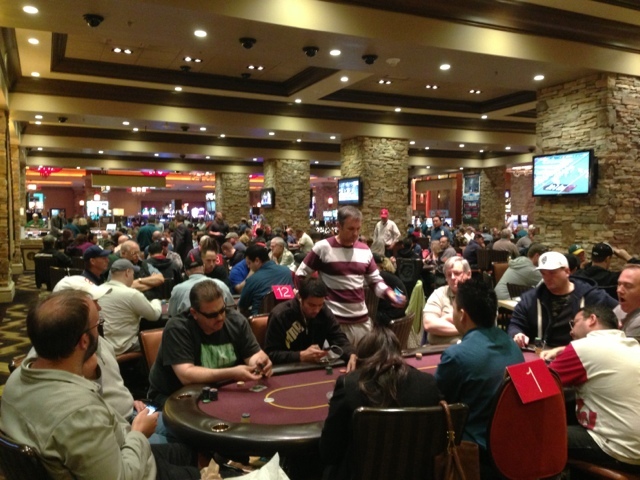 The 7:00pm satellite will be a $120 buy-in with 1 seat generated for every 10 entrants. In addition to the mega satellites, we will be offering 1 table Sit N Go's all day. Cards are in the air for the inaugural Ante Up Norcal Classic. With just over 3 hours remaining in the reentry period, seats are still available. 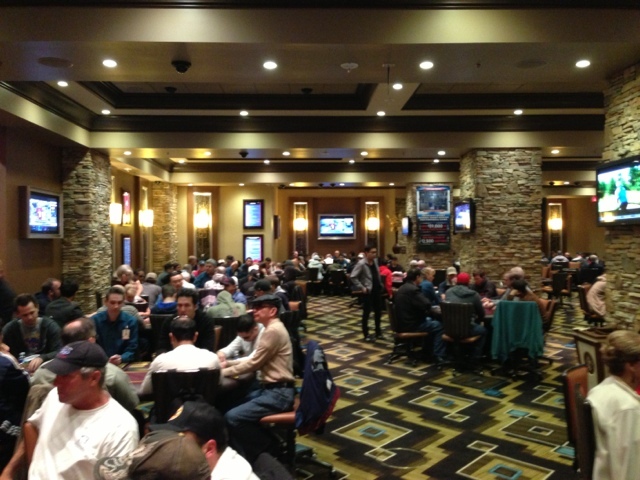 Registration is open through the first 4 levels, the field currently has over 100 entrants. Included in your tournament registration is a complimentary buffet with front of the line privilege. 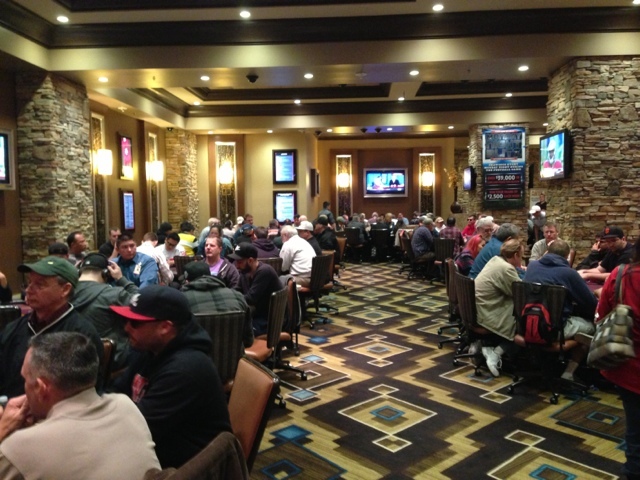 There is still time to satellite your way into tomorrow's $200,000 Ante Up Norcal Classic. One table Sit N' Go's will be held all night, buy-in $130. 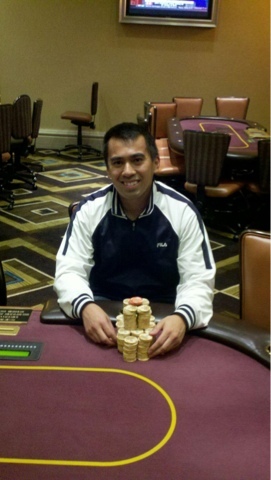 Congratulations Ryan Ordonez of Rocklin Ca., Event #8 winner. 2 Ali Gousheh, Fair Oaks Ca. 3 Derick Nakayama, Sacramento Ca. 4 Steve Silva, Turlock Ca. 5 Kenneth Moynahan, Vacaville Ca. 6 Nathan Bolinger, Oakdale Ca. 7 Bao Liu, Sacramento Ca. 8 John Duckworth, Wilton Ca. 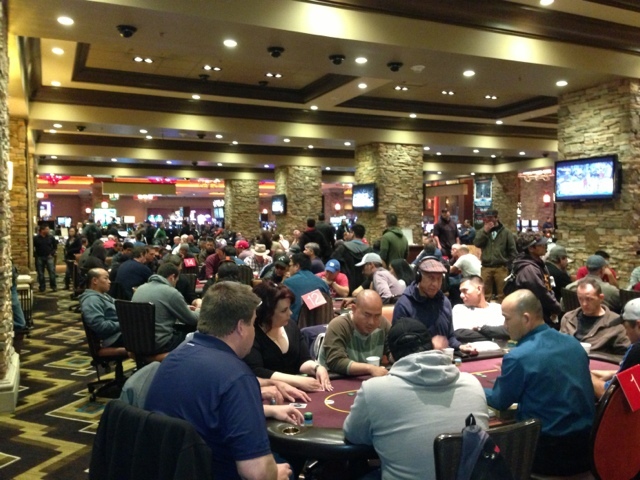 The Ante Up Norcal Classic Day 1A begins tomorrow at 11:00am. There is still a chance to satellite your way in tonight at 7:00pm. The $120 Buy-in satellite generates one seat for every 10 entrants, or play in our $130 Sit N Go's. 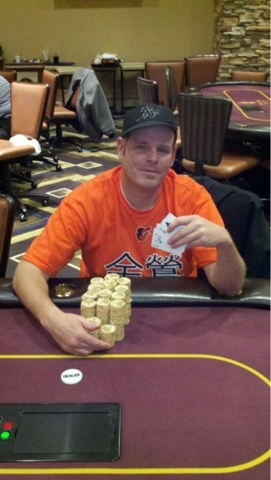 Congratulations Aaron Perkins of Sacramento Ca., winner of Event #7. 2 Shannon Kahahane, Lincoln Ca. 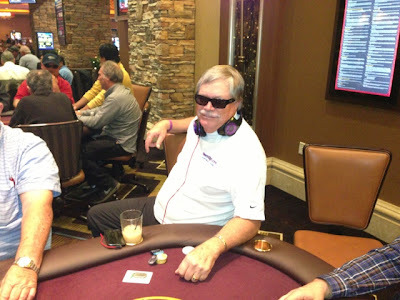 3 Dennis Carlson, Folsom Ca. 4 Kelly Fountain, Plumas Lake Ca. 5 Kevin Nathan, Roseville Ca. 6 Matthew Stump, Rocklin Ca. 7 Michael Mendonsa, Sacramento Ca. 8 Shawn Roberts, Rocklin Ca. 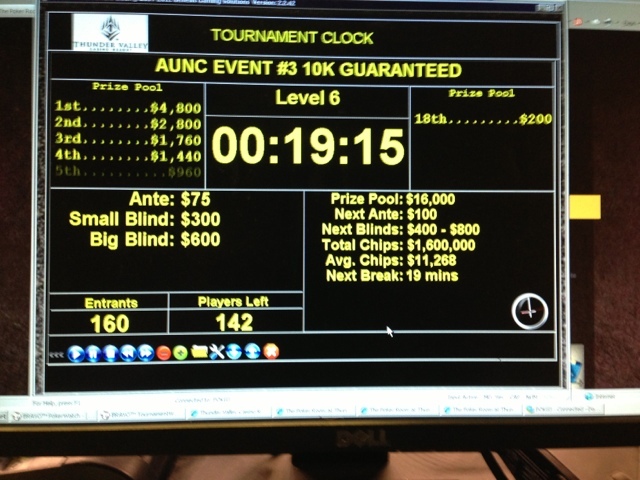 There are still a few seats available for AUNC Event #8 $150 Buy-in $10,000 guaranteed with $50 bounties. 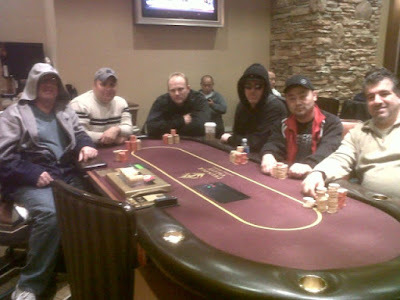 Join us tonight for the $150 Buy-in NLHE $10,000 guaranteed big bounty tournament. Make sure to reserve your seat early as a capacity crowd is expected. Come join us this evening at 7:00pm for Event #7 Six-Handed NLHE $100 buy-in. 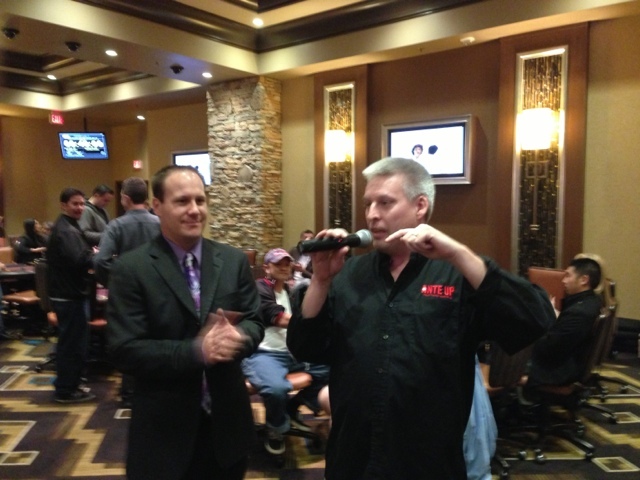 Congratulations Scott Long of Safety Harbor Fl., winner of Event #6. 2 Paul Lillemo, Shingle Springs Ca. 3 George Barrett, Rocklin Ca. 4 Brian Watson, Lodi Ca. 6 Randy Smith, Livermore Ca. 8 Rudy Robledo, Sacramento Ca. 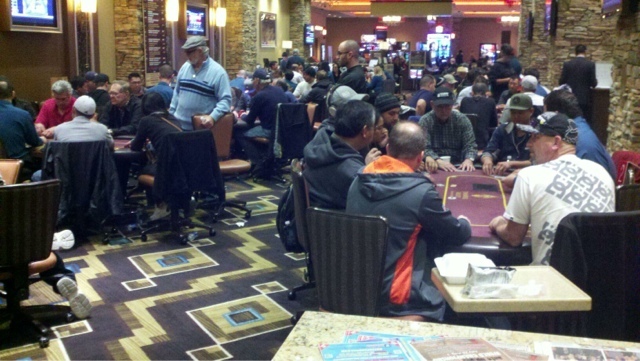 Although the field was the smallest of the Ante Up Series, the 51 players who attended were appreciative of the mixed game event. Poker Director Ben Erwin also reiterated his commitment to offer a mixed game event for every tournement series. 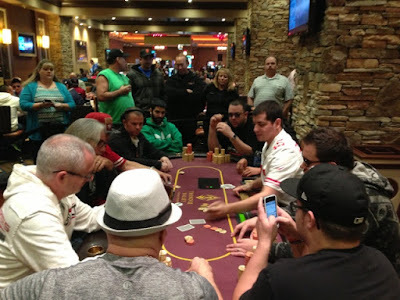 Players came from Reno, Livermore, San Jose, and San Francisco just to name a few. Ante Up's Player of the Year leaderboard has been updated with the results of Events #4 and #5 of the Ante Up NorCal Classic. 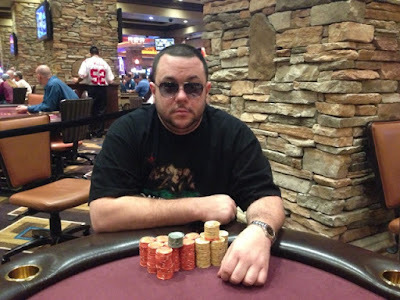 Samuel Hudson, champion of Event #4, just missed cracking the Top 50 by a fraction of a point. Matt Boddorf added to his points total with a 4th-place finish in Event #4 to go with a 3rd-place in the Sweet 16 Series main event back in April. 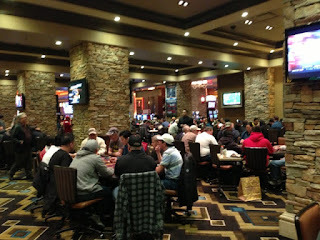 The winners of Events #6-8 are expected to earn between 300-500 points each, with the winner of the main event considerably more, so there's still an opportunity for top-notch Thunder Valley Casino Resort players to move up the leaderboard, especially ones who have already final tabled an event this series or one of the previous 2012 Thunder Valley Casino Resort main events. 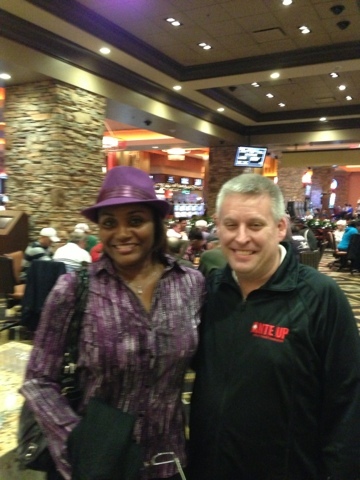 Don't forget to join us for Monday Night Blitz and win your share of $2,500 during tonight's game. 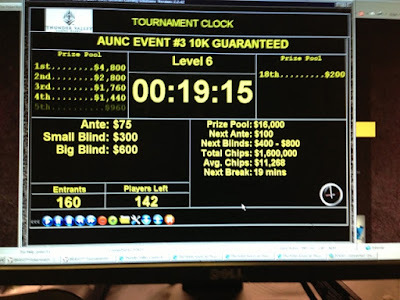 We will be holding satellites at 10:00am and 2:30pm all week for the Ante Up Norcal Classic. 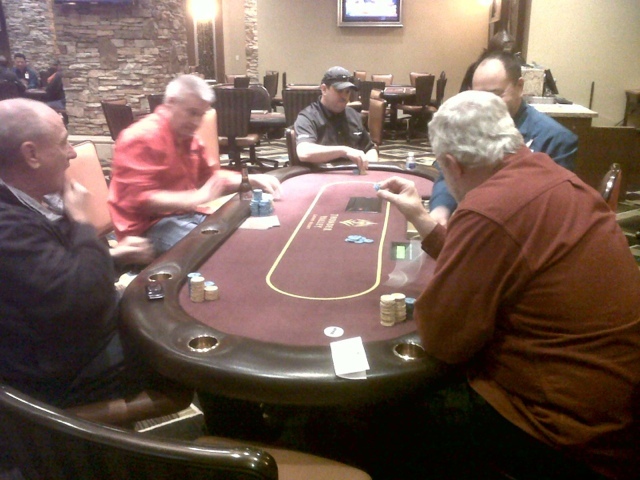 In addition to the daily satellites, we will be offering one table sit n go's 24 hours a day. 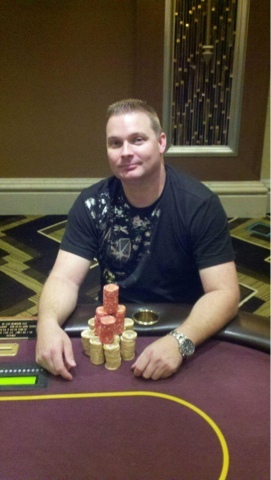 Congratulations Shawn Roberts of Rocklin Ca., Event #5 winner. 2 Bernie Serrano, Daly City Ca. 3 Chris Markos, Glendale Ca. 4 Ed Miller, Granite Bay Ca. 5 Roberto Devera, Fairfield Ca. 6 Gurpal Lally, Sacramento Ca. 7 Donna Delfin, Folsom Ca. 8 Greg Berniard, Sacramento Ca. 9 Marcus Sanders, Oroville Ca. 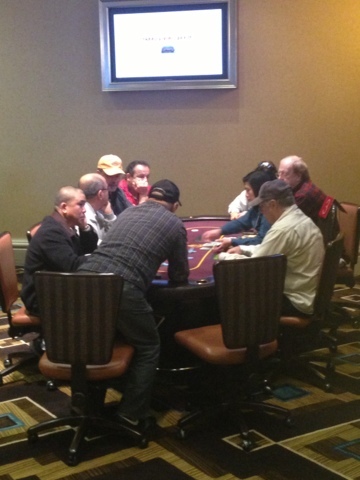 Shawn, Bernie, Chris, Edward, Roberto, and Gurpal decide on a six way chop. Sunday night saw another great turnout for the $125 Buy-in $10,000 guaranteed bounty tournament. 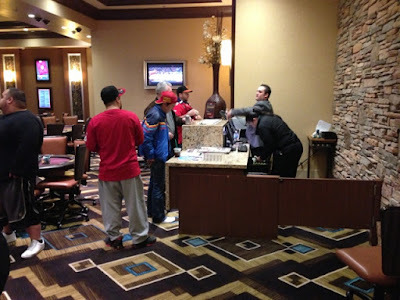 There were a total of 180 entrants, and after all bounties were paid the prize pool came in at $14,400. 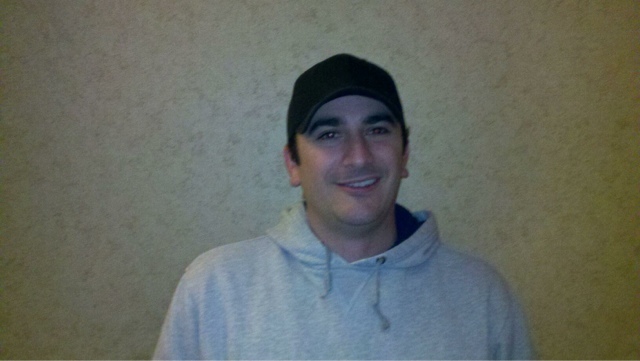 Congratulations Samuel Hudson of Sacramento Ca., who won Event #4 and $18,290. After two long days of grinding it came down to the final 5. 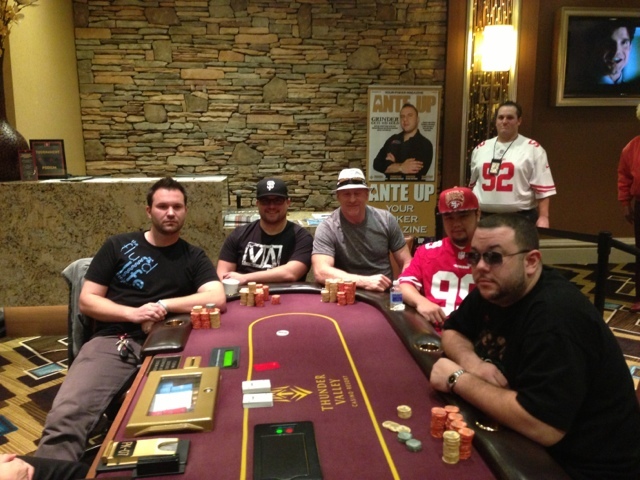 With no dominant chip leader, the remaining 5 decided on an even chop of $18,290. Play has just resumed on level 16 with a 1,000 ante and the blinds at 4,000-8,000. The field now sits at 18. The prize pool has been set for the final 27. 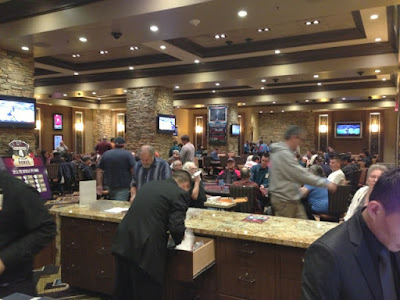 Registration is now closed for Event #4 Day 1B. 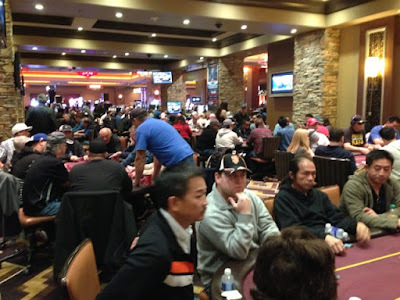 A total of 202 players entered Day 1B and the field is now set with a two day total of 369 entrants. We've updated the Ante Up Player of the Year points leaderboard with the results of Events #1-3. Congrats to all of those who earned points! 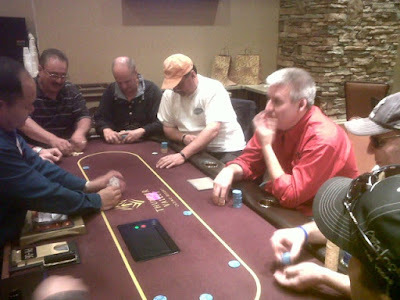 Players who finish in the top 10 of any Ante Up NorCal Classic event (and sign Thunder Valley's publicity release form) will earn points toward the Ante Up Player of the Year title. 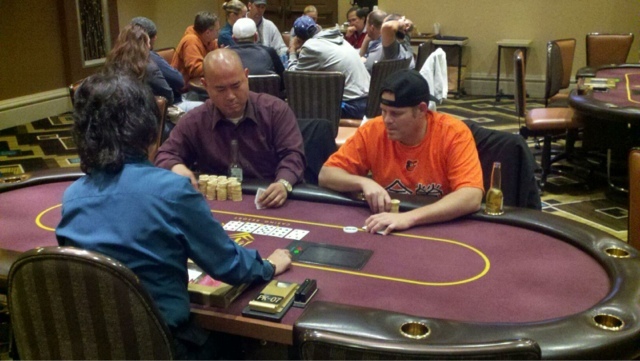 We have just more than a month left in this year's race, and a good run from a player in the Ante Up NorCal Classic will put that player high in the race! 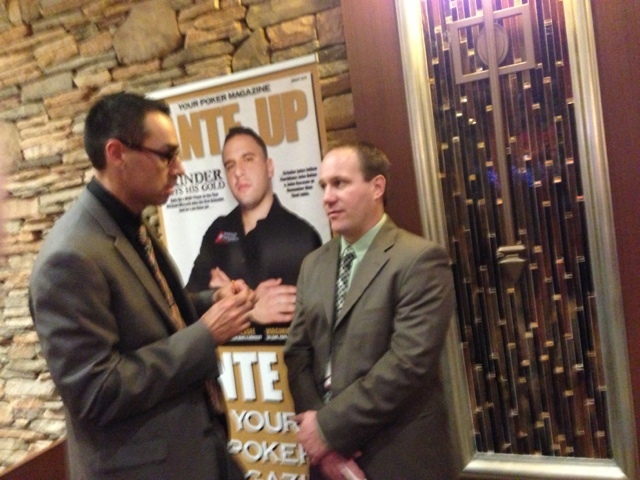 Ante Up Magazine's Scott Long along with Director of Poker at Thunder Valley Ben Erwin kick off Day 1B. Tournament Director Miguel Cardenas along with the Director of Poker Ben Erwin. Down to he final 3 tables. 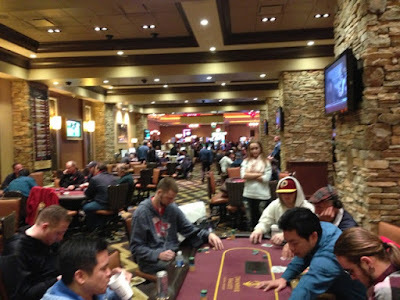 As the field from Day 1B dwindles so do the available seats for Day 1B. Please make sure to arrive early tomorrow as a larger crowd is expected. It is just after 6:00pm and the field sits at 31 during the dinner break. When play resumes, a total of 17 spots will be in the money with the final 13 returning for the finals on Sunday. 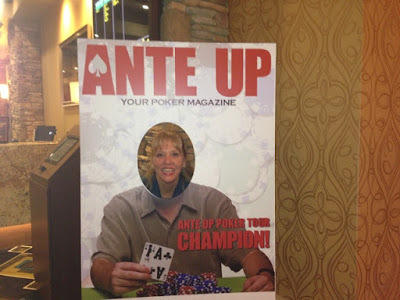 Scott Long owner and publisher of Ante Up Magazine along with Ante Up Southern California Ambassador Loriann Persinger. The winners from our 2012 Sweet Sixteen and Thunder Valley Player's Championship have both returned to contend for those coveted Ante Up player of the year points, not to mention the cold hard cash. 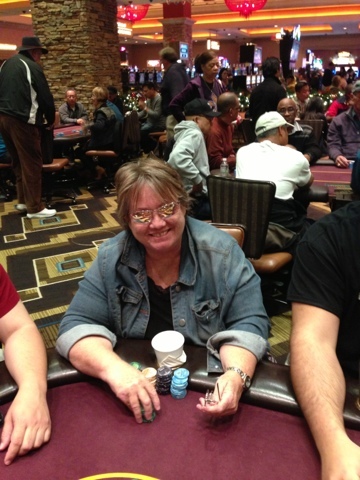 Candida R from Sacramento Ca. 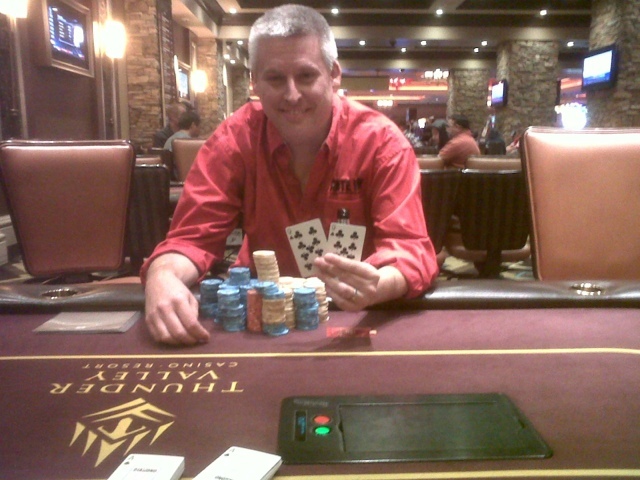 won the Thunder Valley Player's Chamionship Main Event in August. 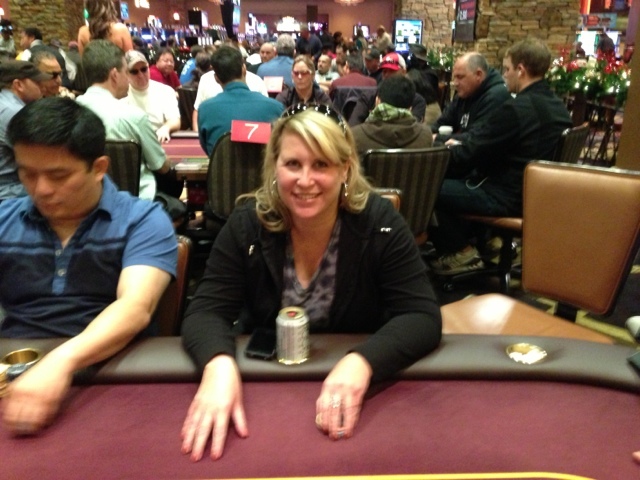 Amber C from Lincoln Ca. 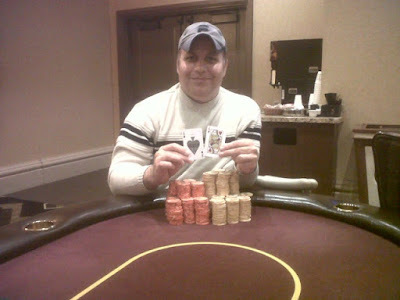 won the Sweet Sixteen Main Event in March. Event #4 $100,000 Guaranteed Deep stack is under way. 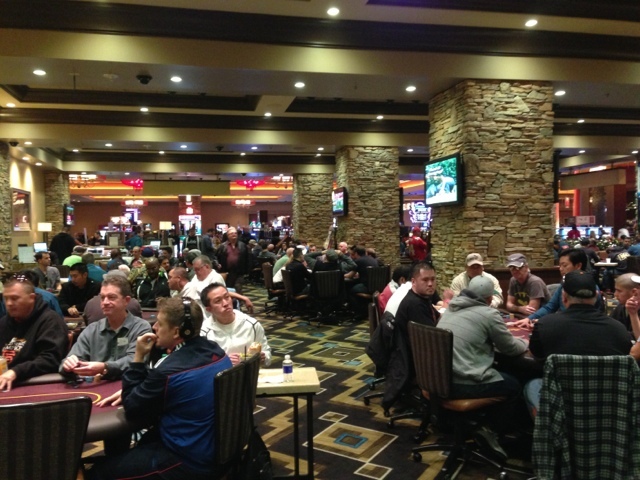 Day 1A has attracted 167 players from all over the country. They've come from Northern California, Southern California, Oregon, Nevada, Florida, and Michigan. 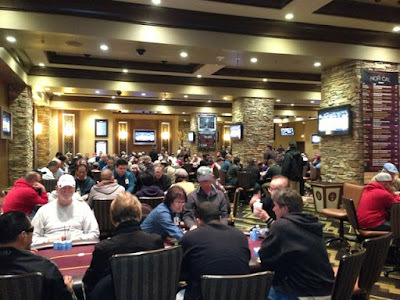 With Day 1B just 20 hours away there are still seats available. It's a beautiful day in Lincoln, California. 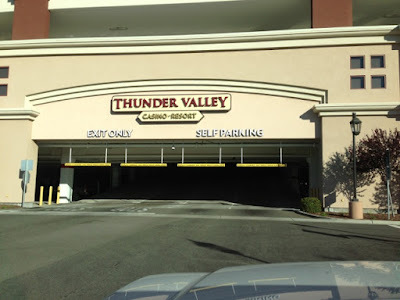 Pulling in to Thunder Valley Resort Casino for Event #4 the $100,000 guaranteed Deep Stack Tournament; buy-in $450 with an 11:00AM start. 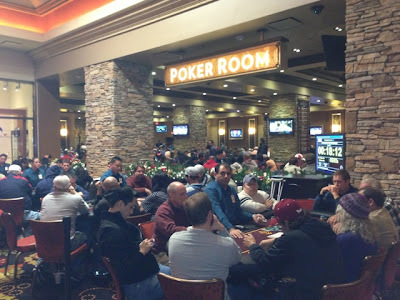 There are still seats available, registration will be open for the first four levels. 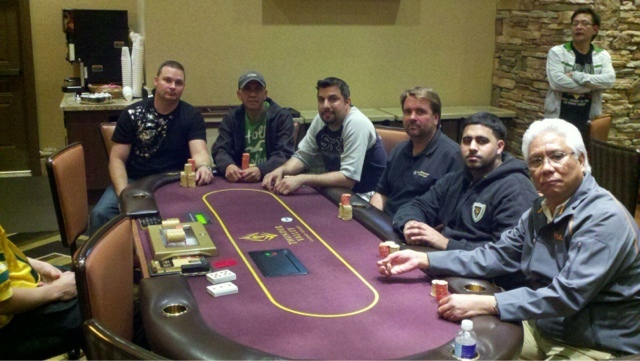 Congratulations Nasrullah Afridi of Sacramento Ca., Event #3 winner. 2 Corey Strock, Mountain House Ca. 3 Scott Jones, Concord Ca. 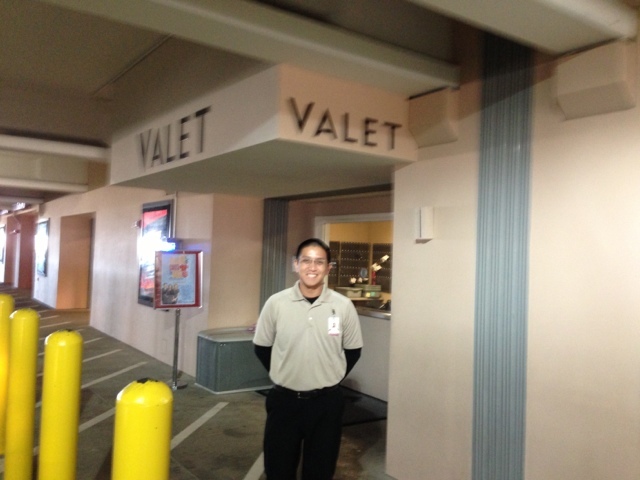 4 Cheng Vang, Sacramento Ca. 5 Joseph Hobbs, Lincoln Ca. 6 Ted Salman, Sacramento Ca. 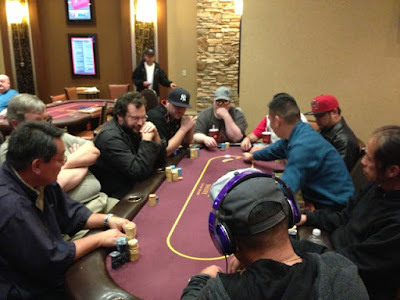 7 Zijin Tan, Elk Grove Ca. 8 Andrew Purcell, Rocklin Ca. 9 Pakwai Tam, Sacramento Ca. 10 Bruce Angeski, Sacramento Ca. 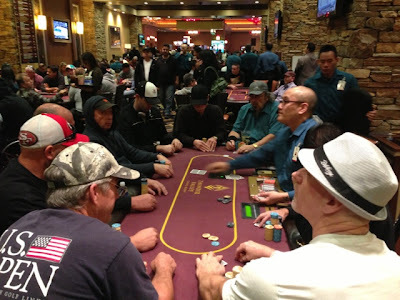 Satellite your way into Event #4 of the Ante Up NorCal Classic Series. We are offering two more $55 buy-in Mega Satellites today at 2:30pm and 7:00pm for The $450 buy-in, $100k Guaranteed Deep Stack Event that begins tomorrow at 11:00am. The field is set for Event 3. 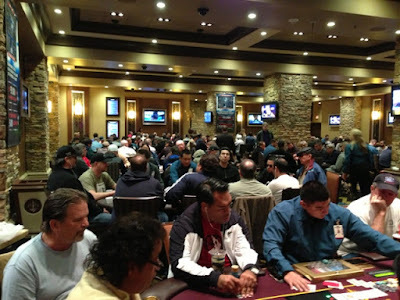 160 players with a prize pool of $16,000. 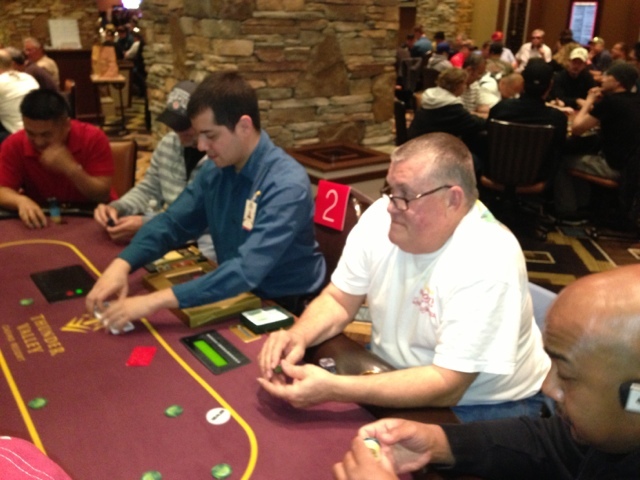 Al L sizes up his competition before raking in the pot. Neon ponders his next move. Cards are in the air for the sold out event 3. The event sold out around 6 pm. Just a reminder registration opens a minimum day in advance. 2 Thomas Emerson, Sacramento Ca. 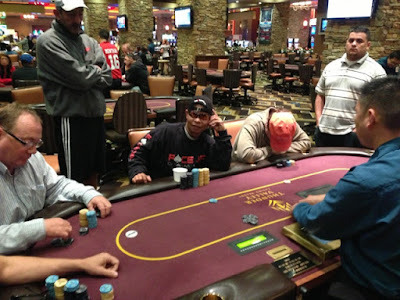 3 Tom Tseng, Sacramento Ca. 4 Rick Byers, Elk Grove Ca. 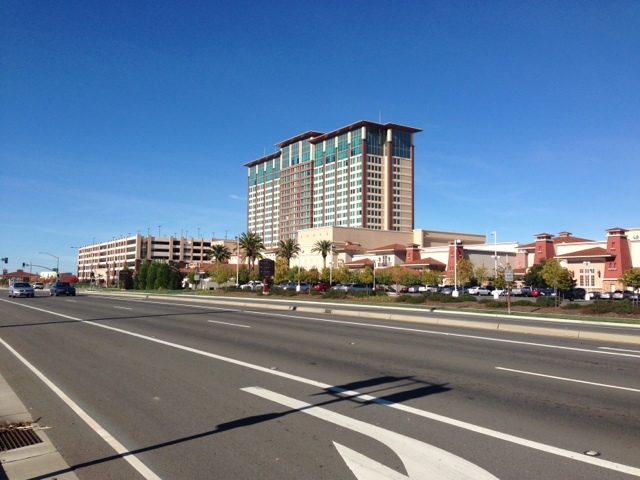 5 George Hammond, Fresno Ca. 8 S A Malin, Penn Valley Ca. 9 Johnny Mora, Orangevale Ca. 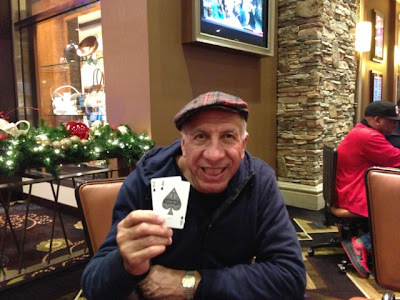 10 Harold Charvat, Roseville Ca. 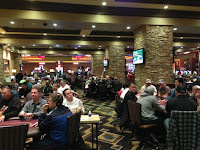 Last evening 82 players turned out to compete for the $100 Buy-in Omaha 8 or Better event with a total prize pool of $7,544. 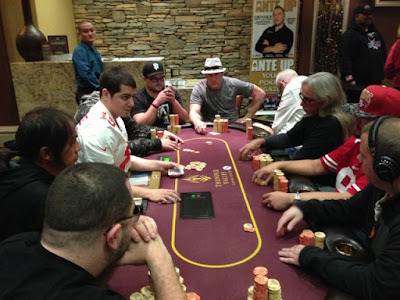 In the end it came down to Andrew Grove of Dublin and Thomas Emerson of Sacramento. 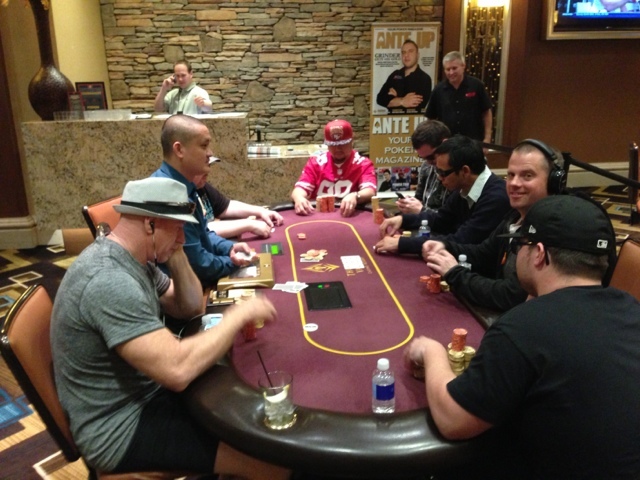 Will you be the first Ante Up Poker Tour Champion! 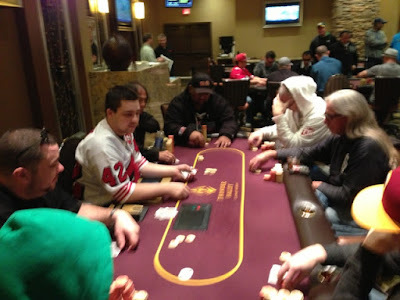 About to start our Omaha 8 or Better. Hurry down we still have a few seats remaining! Abdul K from Lincoln, one of our Event 1 finalists.